Wishing All Our Valued Customers a Very Merry Christmas and Healthy New Year! It’s been another wonderful and busy year at The Moorings in Portmagee and it’s not over yet with a busy month preparing for our annual New Year celebrations. 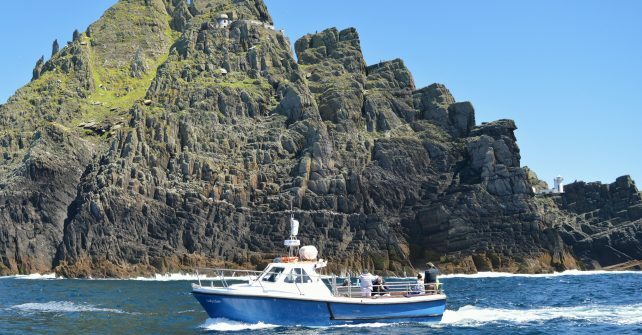 The launch of the next episode of the Star Wars films ‘The Last Jedi’ will premier on 15th December 2017 and once again Skellig Michael has been featured in this movie so we have plenty more stories and unseen footage of the cast and crew in Portmagee during the filming. 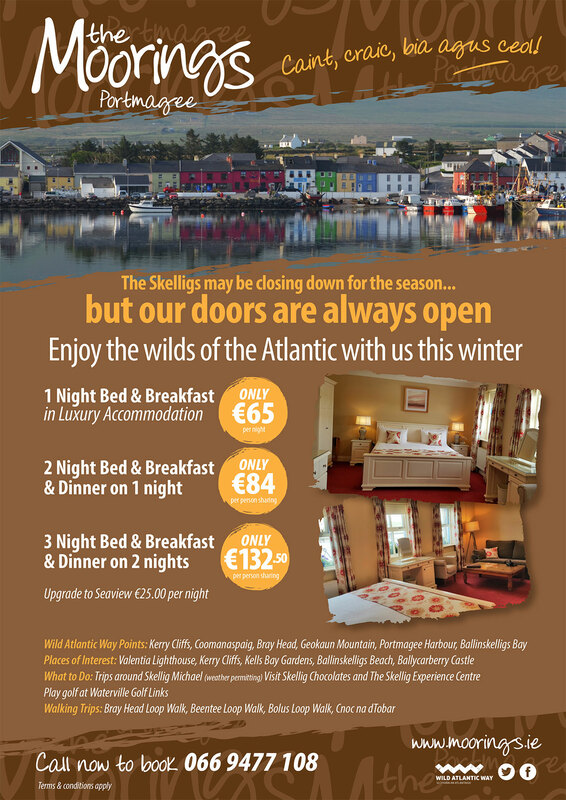 Treat someone special this festive season to a gift voucher for The Moorings, Portmagee. You can buy your gift vouchers online here or feel free to call us on the number below.